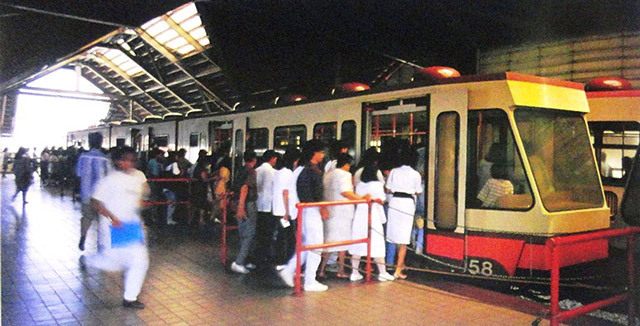 Including an image of the LRT in the late '80s. (SPOT.ph) Taft Avenue is one of Metro Manila’s busiest and most important thoroughfares as it cuts through Manila, Pasay, and Parañaque—three key cities of the national capital. When it was completed in 1899, the original “Calle Rizal” began south at Padre Burgos Street (C-1) and ended in Calle Herran (now Pedro Gil Street). By 1915, it was already known as Taft Avenue after a series of extensions: Further north to Vito Cruz Street in 1940 (now Ocampo), Buendia in 1959, then to its endpoint, Highway 54 Extension. In 1984, the elevated Manila LRT Line 1, was built over the avenue. Here's a peek into the sights around Taft Avenue back in the day, from a sprawling shopping area to the old LRT line. NOTE: Dates show the approximate years the pictures were taken. On Padre Burgos corner Arroceros, you can find the landmark masterpiece of Arch. Juan M. Arellano—the Manila Metropolitan Theater—inaugurated on December 10, 1931. The modern Art Deco building was the venue for many pre-war cultural shows and events, but the war ended its glory days; the Met degenerated and was misused as a boxing arena, motel, and shelter for squatters. It was restored in 1978 through the efforts of then First Lady Imelda Marcos, under the helm of Arch. Otilio Arellano, nephew of the original architect. Again, it fell into disrepair and was closed in 1996. It was last used for a rock concert in 2011. In June 2015, the Government Service Insurance System transferred ownership of the Met to the National Commission for Culture and the Arts after the latter acquired a government budget to start the rehabilitation process of the Met. Arch. Gerard Lico has been tasked to lead the grand Met restoration project. 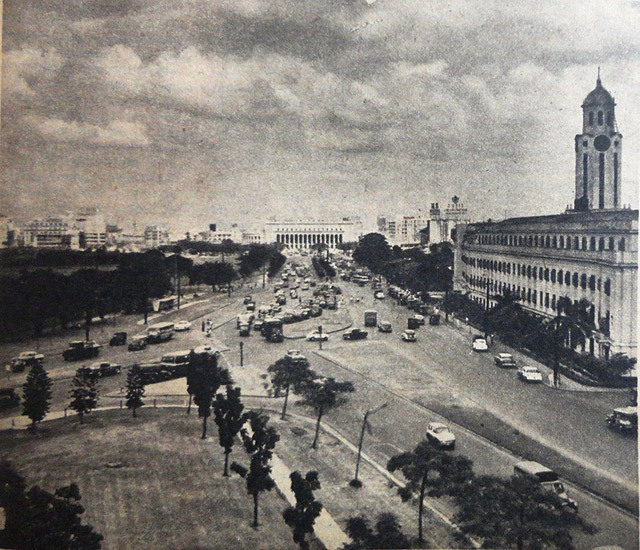 If you’re on Taft Avenue moving towards Plaza Lawton (now Liwasang Bonifacio, an important transport hub), you’ll see Manila City Hall on the right, as well as a portion of the Walled City and the classic structure of the Manila Post Office. The City Hall was designed by Arch. Antonio Toledo, who had also worked on the Finance and the old Legislative Buildings along Taft. The original 200-room City Hall was finished in 1941, only to suffer damage during the war. Totally reconstructed with help from the Americans, the City Hall is famed for its 100-foot Clock Tower, the highest in the Philippines. The edifice sits on a trapezoidal-shaped lot that has undergone changes through the years. The grounds were landscaped in the '70s, during Mayor Ramon Bagatsing’s term, and in the 1990s, the Clock Tower was painted red. From this vantage point, one can also view the Manila Central Post Office, built in 1926 and designed in the neoclassical style by architects Juan M. Arellano and Tomas Mapua. It was rebuilt in 1946 after its destruction in the war. The National Cathedral of the Philippine Independent Church (Iglesia Filipina Independiente) can be seen along Taft Avenue, on a lot formerly owned by the American Episcopal Church, which first leased the property for 99 years beginning in 1966. 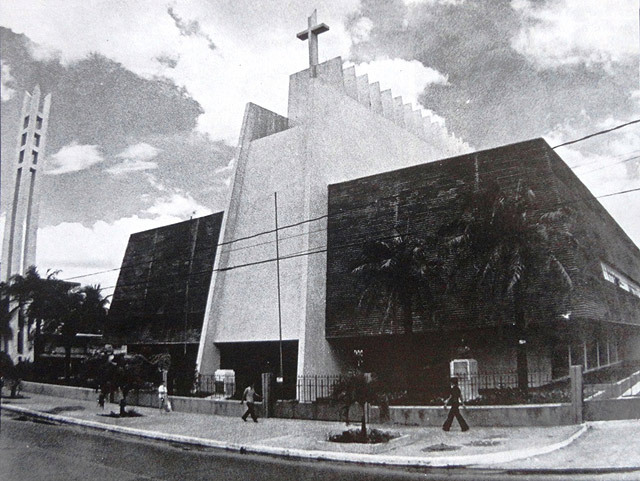 Funds were raised for the construction of the Philippine Independent Church (PIC) headquarters and the groundbreaking was held in 1964. Commissioned to design the church was Arch. Carlos Arguelles, who was known for his preference for international styles of architecture. He was also the builder of the International Rice and Research Institute building, the Manila Hilton, and Philamlife Homes, and its Ermita headquarters. The National Cathedral was finally inaugurated on May 8, 1969, marked by a kilometer-long procession all the way from T.M. Kalaw Street. Chosen as its titular patron was the Holy Child Jesus, the same patron as the sect’s very first cathedral in Tondo, Manila. One of the many eye-catching buildings that have come to define Taft Avenue is the World Health Organization (WHO) headquarters that stands as a testament to the genius of Arch. Alfredo J. Luz. The building, which was finished in 1958, bears an asymmetrical look, balanced by its main linear offices and topped with a domed roof made of thin-shell concrete. 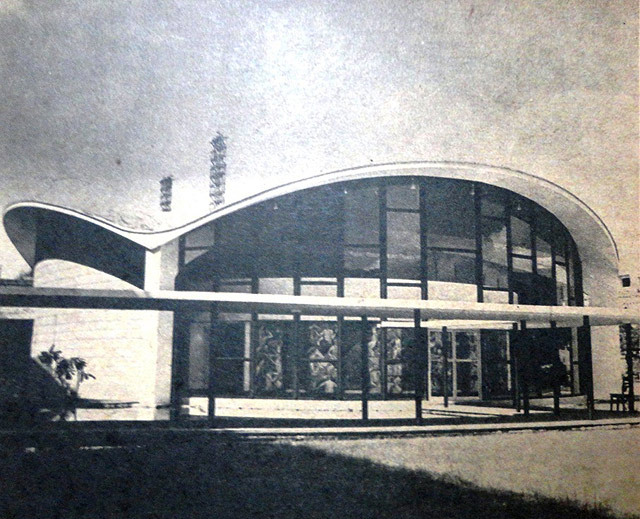 A cutting-edge example of Philippine modernist architecture in the late ‘50s and early ‘60s, the WHO building was a hit with international conferences in those days. The WHO-Western Pacific Region building complex, which actually sits on what was once the military drill field of the old UP Padre Faura campus, is just adjacent to the LRT-1 United Nations station. 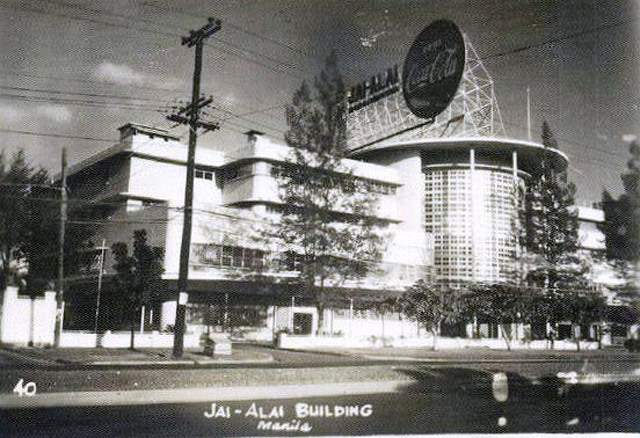 Considered one of the finest Art Deco buildings in Asia when it opened in 1940, the four-storey Manila Jai-Alai Building was designed by Welton Becket and Walter Wurdeman, both American architects. Its distinctive features are its cylindrical glass-fronted façade and its sleek, streamlined ultra-modern design. It was not just a venue for the high-speed Spanish sport of jai alai, then a very popular Manila game, but also for high society events, which were held at its famed Sky Room. Though it survived the war, it fell victim to Mayor Lito Atienza’s demolition projects on July 15, 2000, amidst protests from cultural heritage groups. 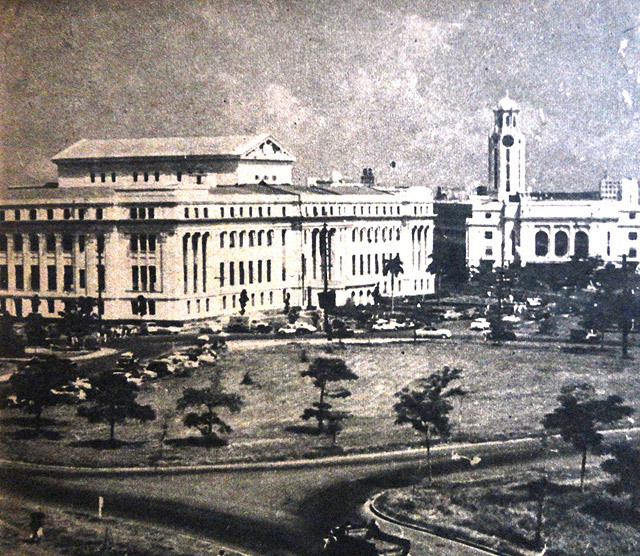 The Manila Hall of Justice was supposed to take its place, but it was never built. This incident led to the enactment of the National Cultural Heritage Act in 2009, to protect important historical structures. 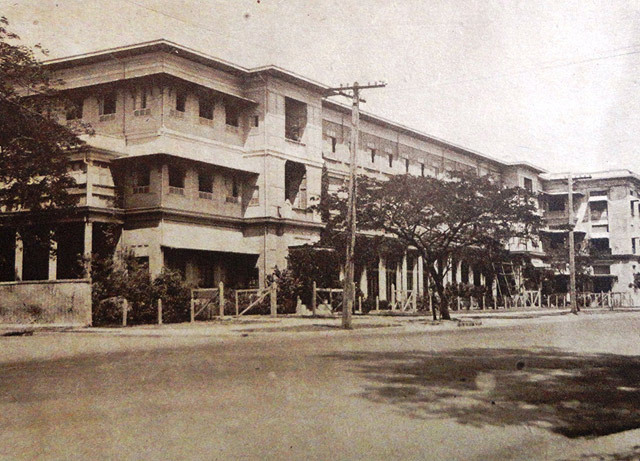 The Philippine General Hospital (PGH), another historic landmark along Taft between Padre Faura and Herran (now Pedro Gil) Streets, was inaugurated in September 1910, the design work of architects William Parson Tomas, assisted by Tomas Mapua. It was established under Act. No. 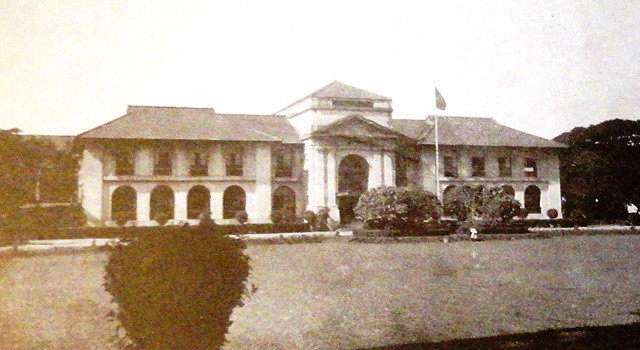 1688 of the Philippine Commission in 1907, and is the biggest hospital in the country, administered by the University of the Philippines-Manila and the UP System's Health Sciences Center. With 15 clinical departments, it is also the largest training hospital in the country. It is known for its service to indigent patients, with over 1,000 beds reserved for their use. Annually, an average of 600,000 patients are served by the hospital. The Philippine General Hospital recently celebrated its 117th anniversary in 2017. Dominating a stretch of Taft Avenue between Quirino and Vito Cruz Street is De La Salle University, which was established by the De La Salle Brothers in 1911 as a boys’ elementary and high school in Paco. As enrollment grew, a more suitable site was found along Taft Avenue where plans to build a new campus were delayed by World War I. It was only in 1921 that the present structure began to take shape, and in October 1923, the new De La Salle College building received its first students. By 1938, work began on its north and south wings, and new additions were made—including the chapel, dining room for boarders, and various laboratories. De La Salle College was known for its excellent Commerce and Business courses. 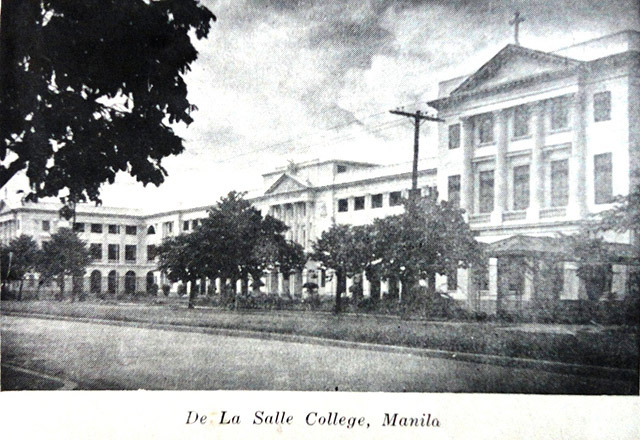 In the dark days of World War II, La Salle served as a refuge for war-affected civilians, and many of the school’s brothers were killed by the Japanese. After Liberation, the school reopened and classes resumed in July 1945. The '70s were a period of major breakthroughs—in 1973, the school began accepting female students, and in 1975, De La Salle achieved university status. Over a century after its founding, the animo spirit of De La Salle continues to shine on that sliver of land along Taft Avenue. Along Taft Avenue-Malate stands the venerable Philippine Women’s University (PWU)—once known as Philippine Women’s College, founded in 1919 by seven Filipinas: Francisca Tirona Benitez, Paz Marquez Benitez, Clara Aragon, Concepcion Aragon, Carolina Palma, Mercedes Rivera, and Socorro Zaballero. Conceived as an all-women’s school, it achieved university status in 1932. It was severely damaged in World War II, but was reopened in 1946. PWU is recognized as being the first private school to have an organized Student Council, and is known for turning out excellent graduates in Music and Fine Arts, Business Administration, and Social Work. Male students were admitted to PWU in the 1970s, and the institution has been co-educational ever since. Arch. Tomas Mapua, the founder of the Mapua Institute of Technology, was a pensionado who was sent to the U.S. to study Architecture at Cornell University from 1903 to 1911. 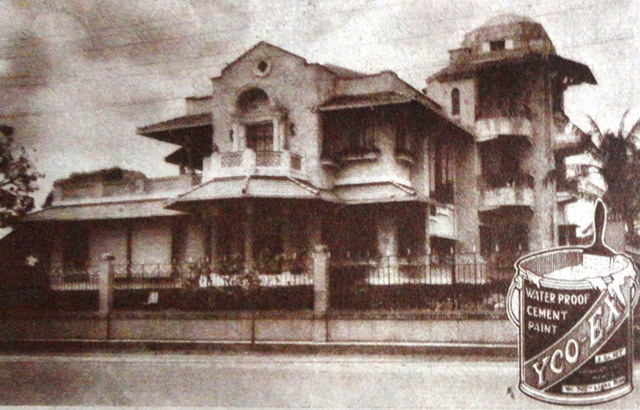 He built a mansion along Taft Avenue Extension for his family that exhibited the Art Deco style that was in vogue at that time. The 1930 mansion was luckily spared from the ravages of war, as it was used as headquarters of the Japanese military. The Mapuas reclaimed their house post-war, and in the 1980s, had to contend with the Manila LRT construction which obscured its view. The Philippine Institute of Architects is restoring the residence, which retains much of the original signature works of the architect. Sitting on 2.5 hectares of land and sandwiched by Taft Avenue and Leveriza Street, Cartimar opened in 1956 and was hailed as the city’s most modern and most well laid-out shopping center. It was managed by Ernesto Oppen at the time of its inauguration. Cartimar was derived from the combination of the first syllable of his parents-in-law: CARlos Cuyugan and wife, TImotea Lichauco, and only daughter, MARgarita whom Ernesto wed in 1937. Cartimar, which had ample parking space and eight buildings housing over 1,000 stalls, became a shopping haven in the '60s, frequented by wealthy Makati residents for fresh fish and produce. It was a common sight to see them in their Sunday’s best, shopping for footwear, novelties, and the latest fashions. In the '70s to '80s, it was the go-to place for imported PX goods, and by the '90s, it was where you could find bicycles and pets. In October 1945, 18 residents of Pasay City pooled their money amounting to P32,000 to start a retail establishment located at Libertad (now Antonio Arnaiz Avenue) and Taft Avenue. 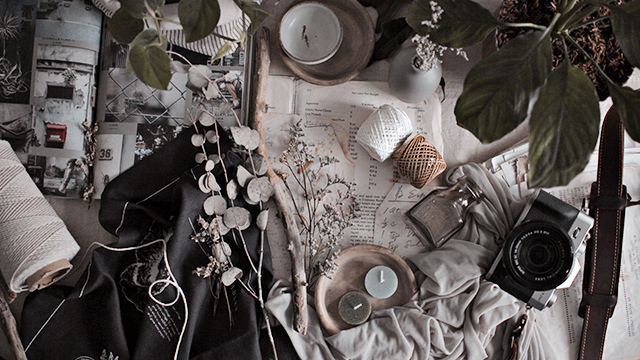 From a small textile store, the shop grew to become the sprawling Pasay Kommercial, the first and biggest department store in the city that carried everything from apparel and shoes, to school and office supplies, household and kitchenware, and much more. 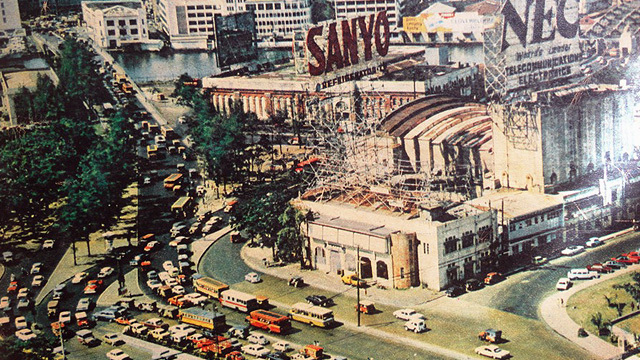 By 1958, Pasay Kommercial had an authorized capitalization of P500,000 for expansion, including branching out in parts of Manila and other suburban areas. 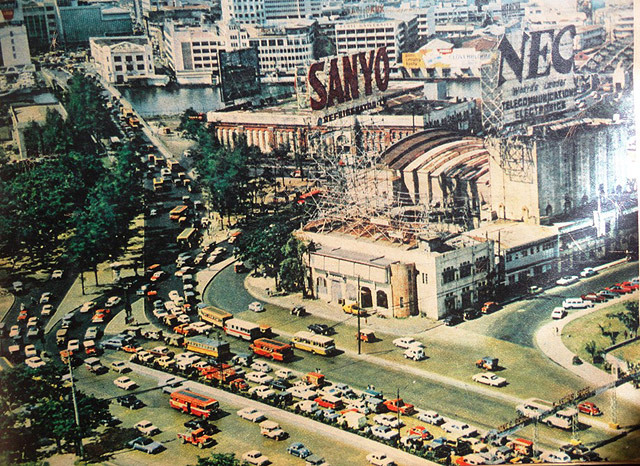 In the next decades, the area grew more commercialized and the establishment was demolished to become the Pasay City Mall and Market. The site is now occupied by Victory Pasay Mall. The LRT was constructed in 1980, the objective being to connect Baclaran in the south with Monumento in the north, a total distance of 15 kilometers with 18 stations in between. Back then, the construction was met with opposition, what with houses and buildings that had to be demolished along its route including the newly erected Isetann Department Store. The LRT tracks had to be constructed above the streets, 14 feet exactly, with raised concrete embarkation platforms that many thought were eyesores. After four years of enduring the snarled traffic caused by the construction, the Manila LRT system was inaugurated to great fanfare. One of the trains’ straightest routes was along Taft Avenue, with stops at UN Avenue, Pedro Gil, Quirino, Vito Cruz, and Buendia. 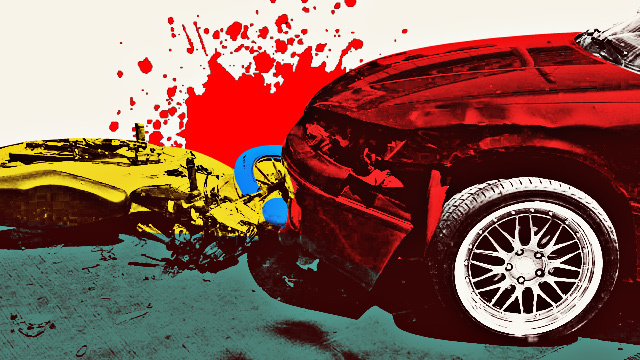 How Many Road Accidents Happen in Metro Manila in a Day?